Ok, so I need to be honest. 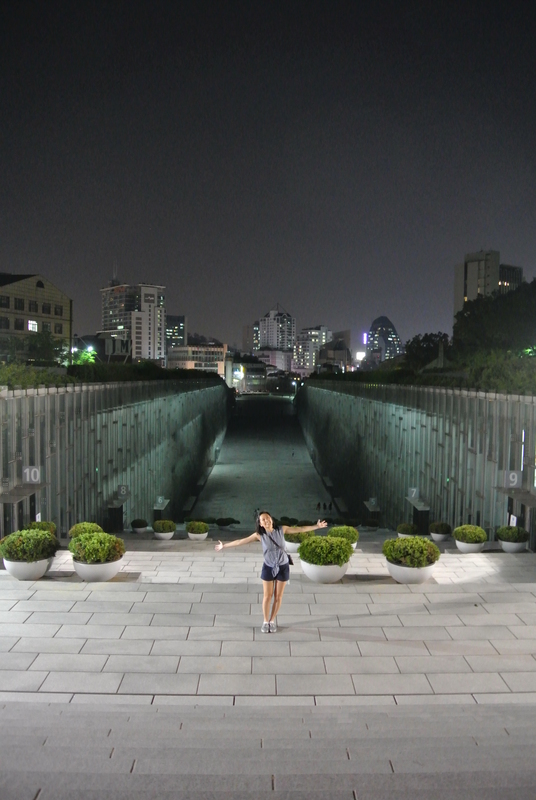 I’m obviously way over due on writing about my trip to Korea. I was hoping to write about each day of my experience in the motherland because it was my first time there in a long, long time. 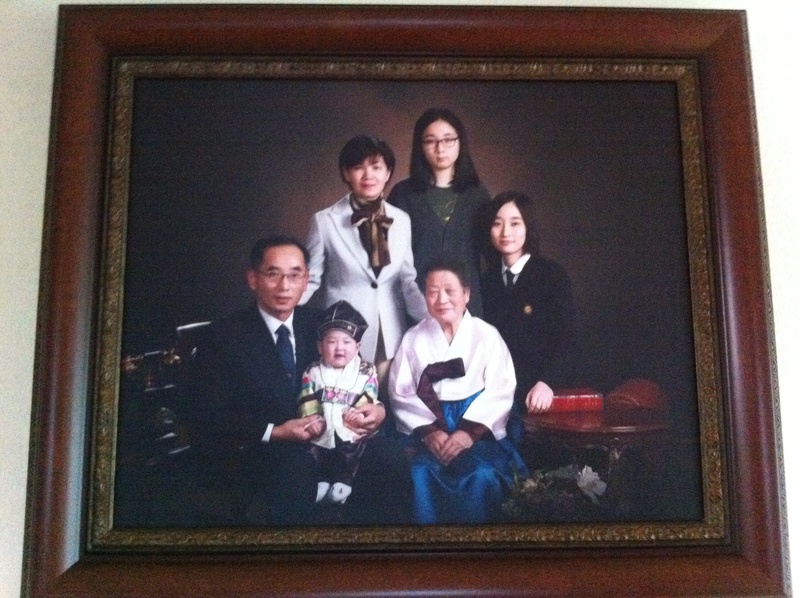 To be exact, it was my first time in Korea in 17 years. For my own memories, I wanted to be able to look back and remember my time there. Also, I just wanted to share my whole experience with friends since I like to share experiences. But. That’s just going to take forever. With that said, I am going to cut down my trip from Day 5 to Day 14 into one post and share highlights of my trip to Korea! Wish me luck. Kimchi-g. My friend, John, took me and my sister to a restaurant that had the best kimchi jiggae (kimchi soup aka spicy cabbage stew) ever! He said that it’s better than any Korean mom’s kimchi jiggae. Surprisingly, he was right! 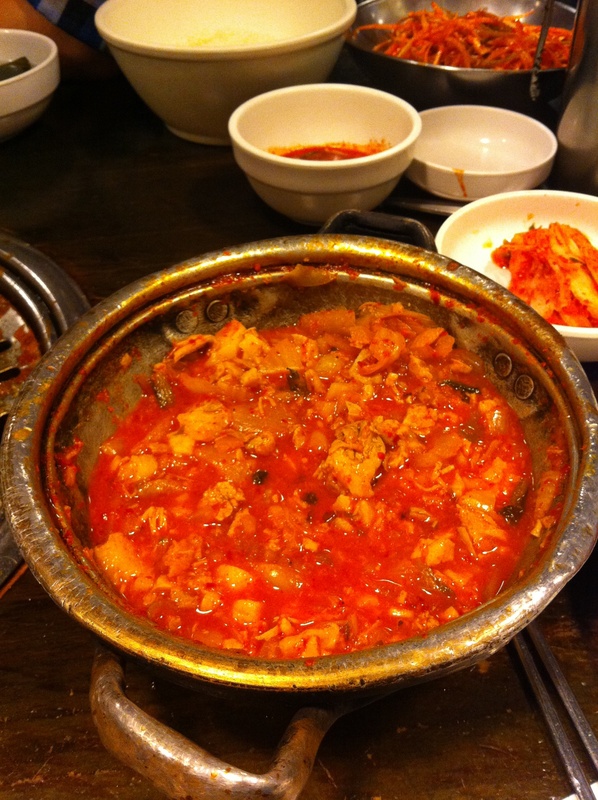 This kimchi jiggae + rice + keem (seaweed crisp) = AMAZING + UNFORGETTABLE. Eh-wah University. Women’s university. Beautiful campus. Reminds me of parting of the Red Sea but it’s a library down there. Dessert. 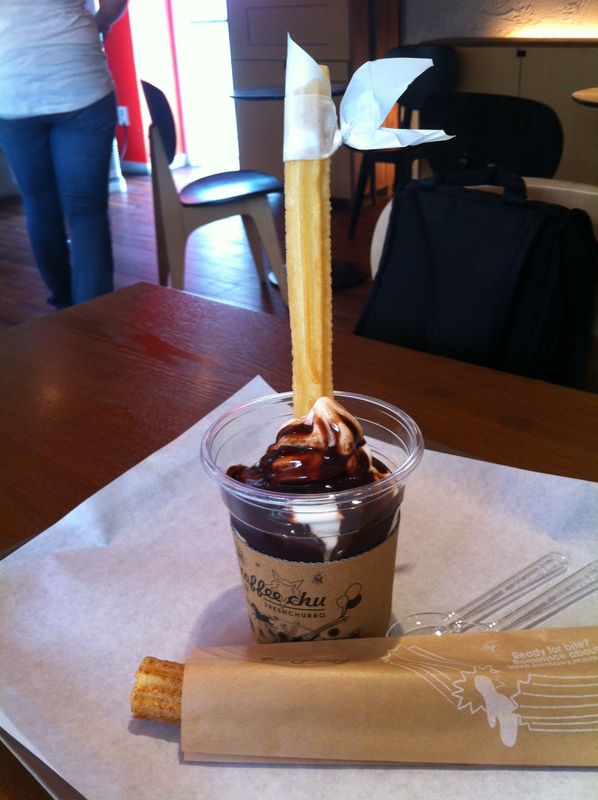 Berry filled churro and ice cream on the side = Yum. Namsan Tower. 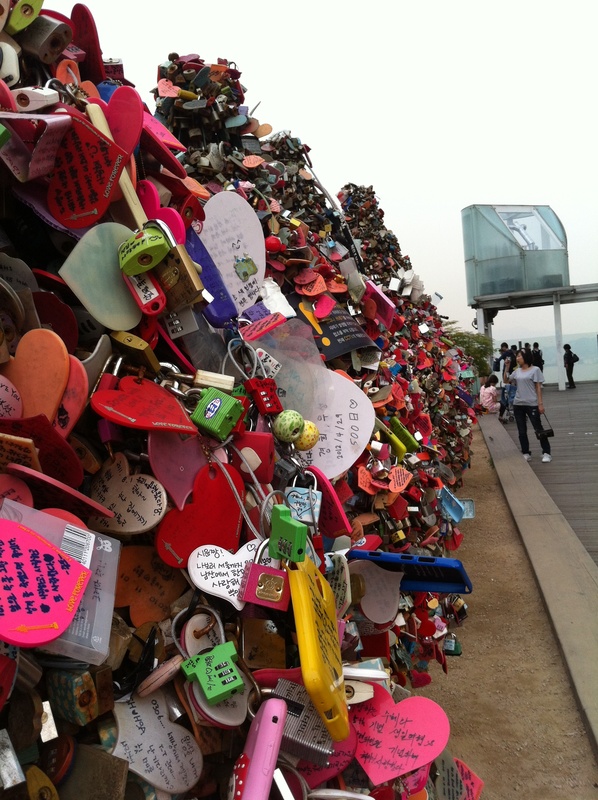 Fences with countless locks with loves notes written on them. Apparently there’s a lock that a girl wrote and it said, “(Insert boyfriend’s name), hope that you are not with another girl in a few years when you read this.” Pretty sad and humorous. 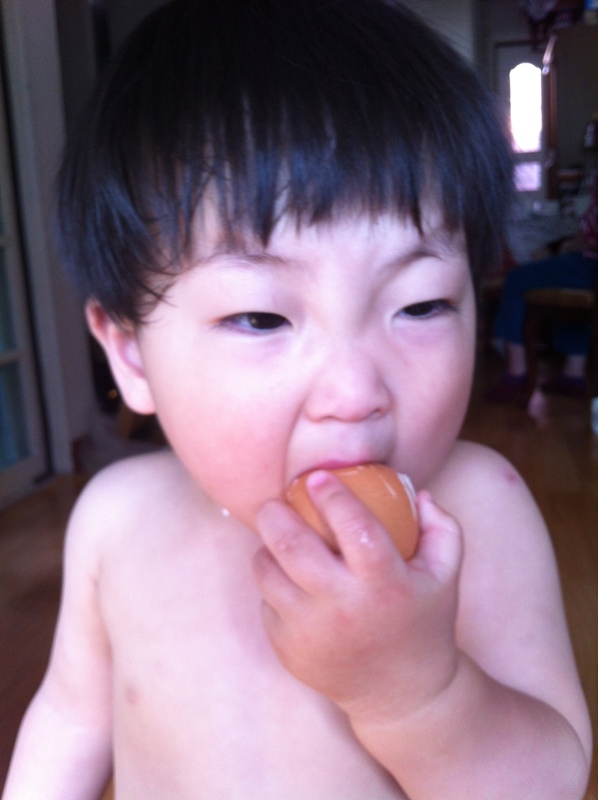 Song-ee’s birthday. Good sweet potato pizza. Good cake. Good family time. 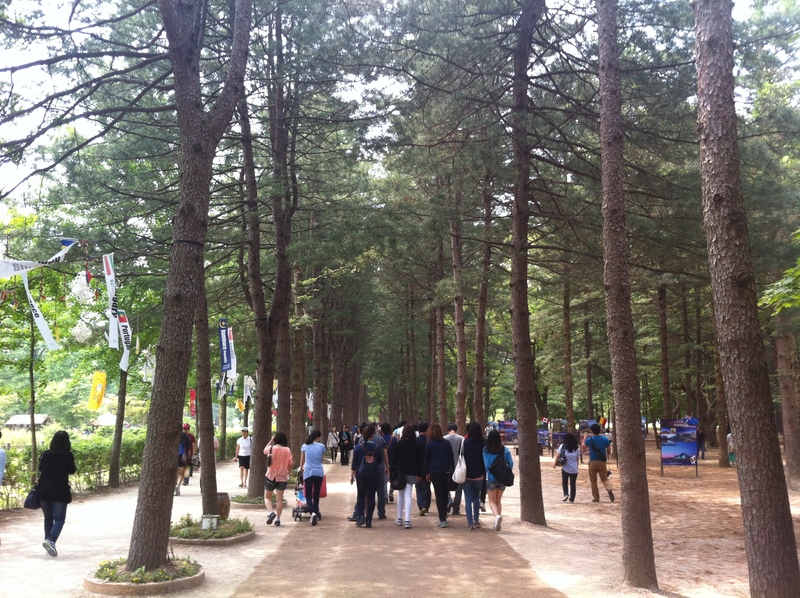 Nami Island. You can camp, have a picnic, pet ostriches, watch a concert, and walk around peacefully on this foresty island. Emo time aka Auntie time. 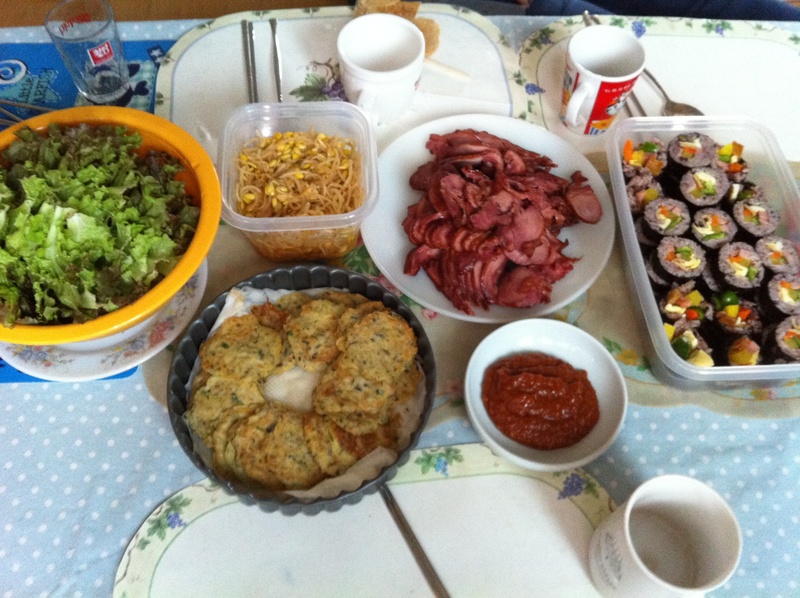 My aunt made us food every time we visited her and it was impossible to say no to her. She made the best kim-bop ever! I could never get enough of them! Soon-oh. This little nugget was definitely a highlight from my trip. He’s so cute. Trick-Eye Museum. 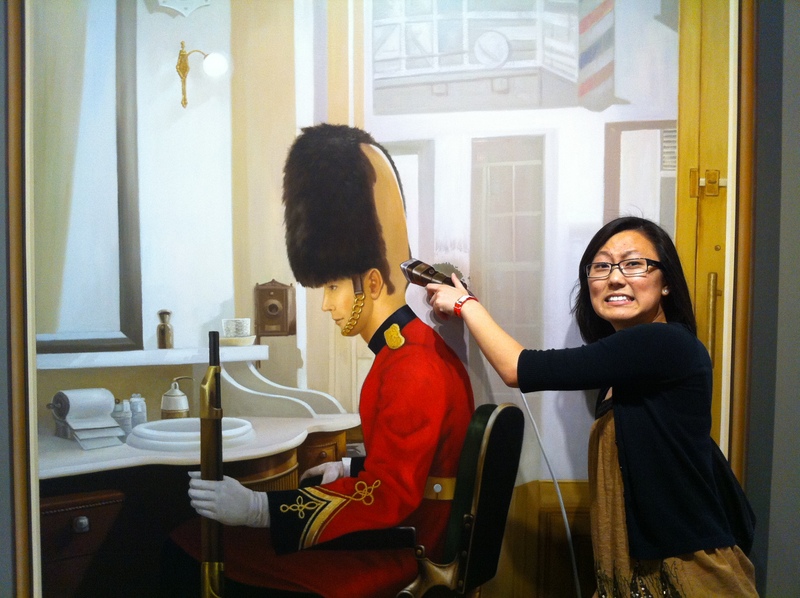 You get to be part of the artwork that’s painted on the wall with illusion. Family. 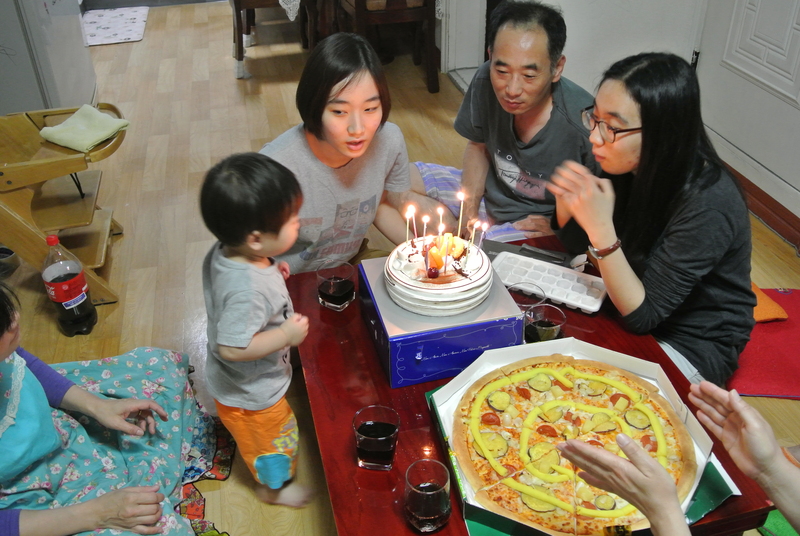 Reuniting with my relatives for the first time in a long time, trying to communicate with them even with language barrier, learning about my family and culture were bright yellow highlights of this trip. Check out my Facebook for more pictures. Thank you motherland for a memorable trip. I hope to see you again sooner than later.